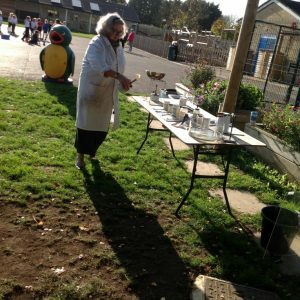 What an amazing week! 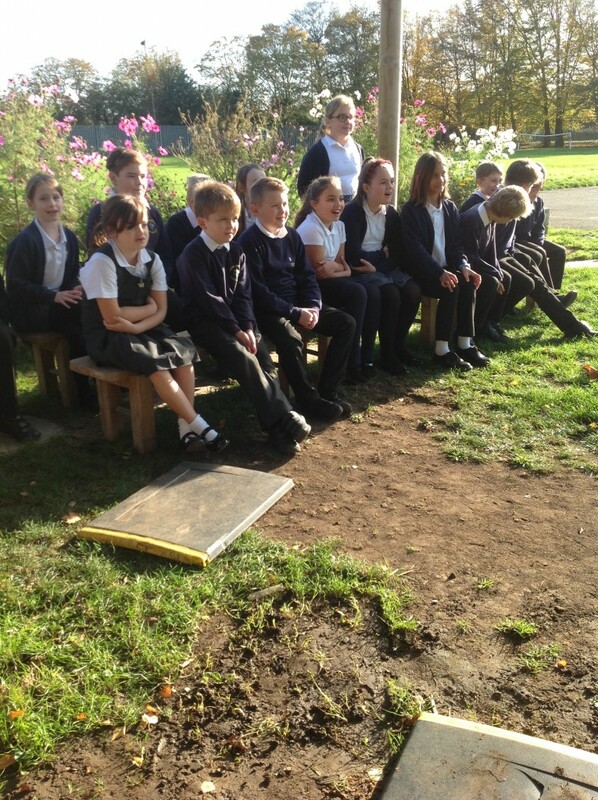 Please have a look at our Padlet (click here) to find out what we thought of it. 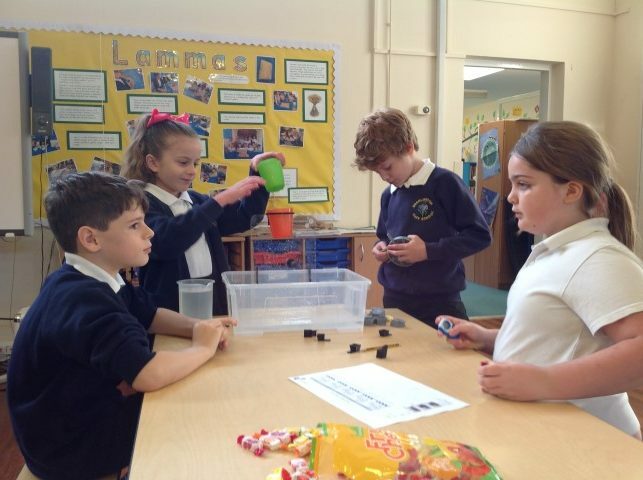 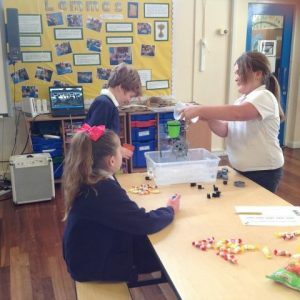 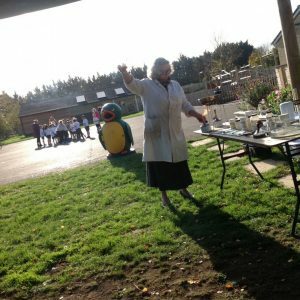 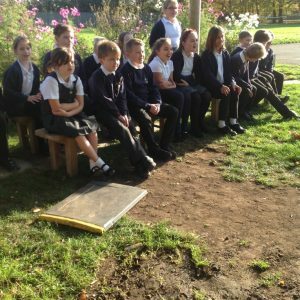 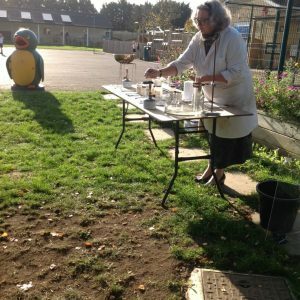 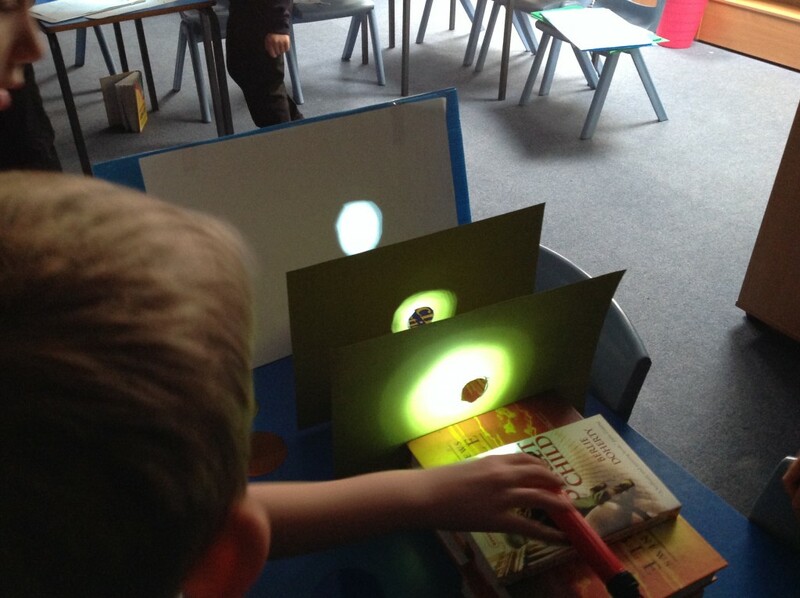 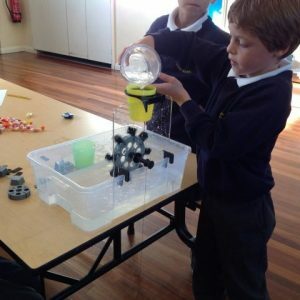 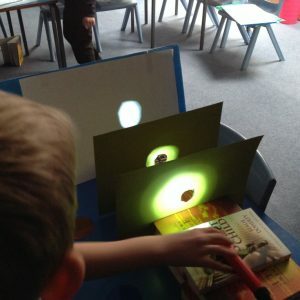 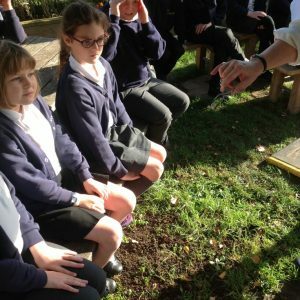 Year six then taught year three some experiments that they had carried out on their ‘Light’ topic which year three enjoyed equally as much! 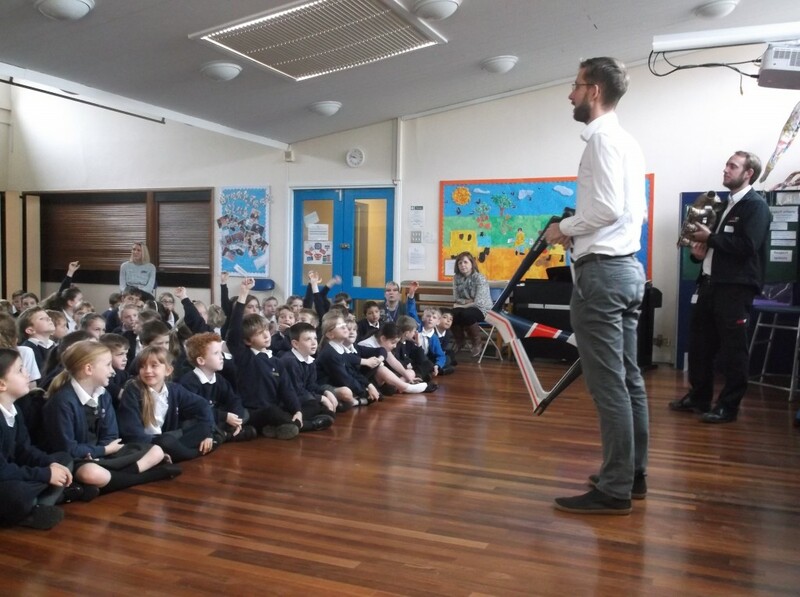 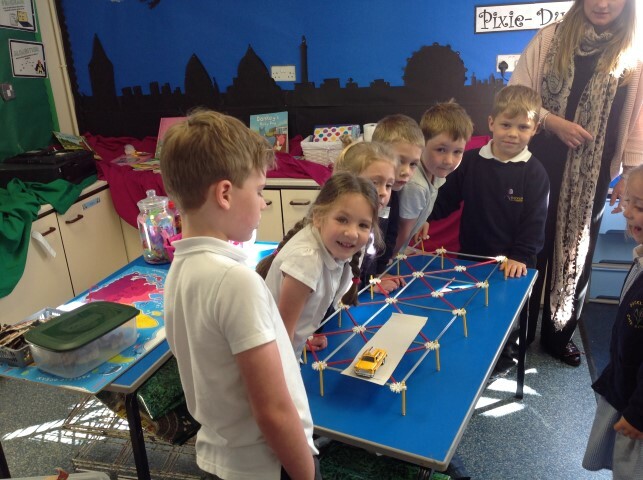 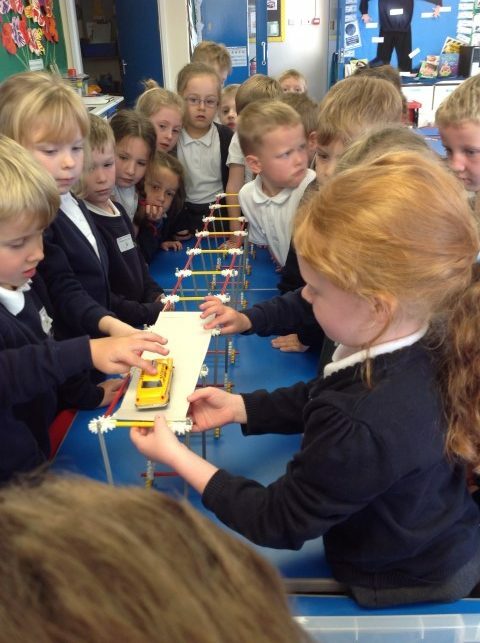 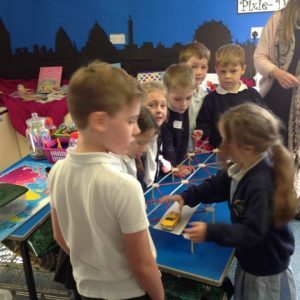 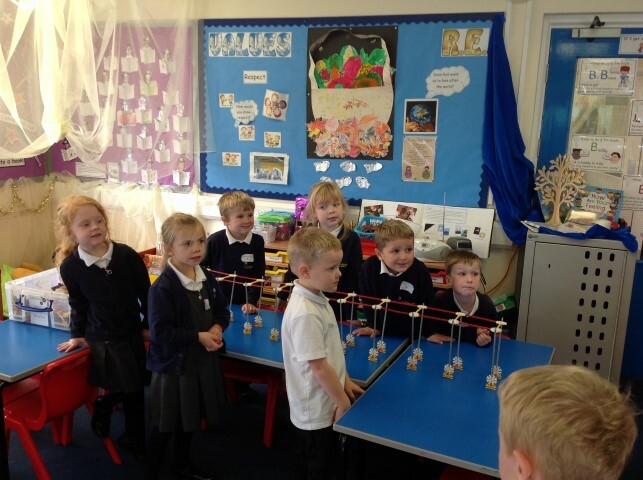 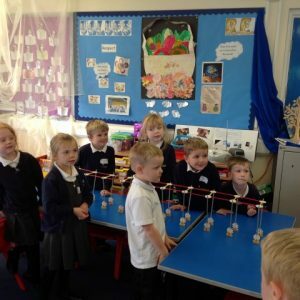 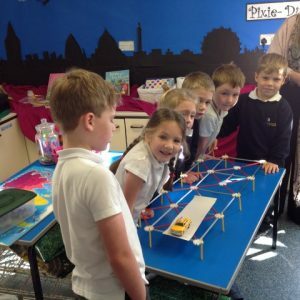 The children in Key Stage two were excited and inspired by our visitors from two local engineering companies who very kindly gave up their time to talk to us about their jobs. 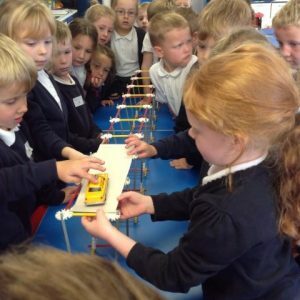 One engineer worked for a company who make Gold medal, Olympic award winning bike frames and another’s company made exhausts for Formula One racing cars- whose was all top secret though! 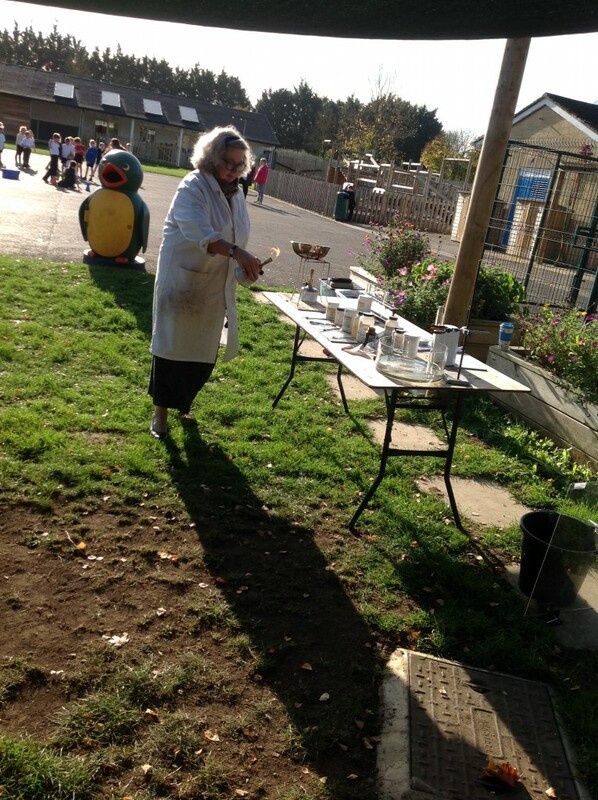 The Ducklings have enjoyed investigating. 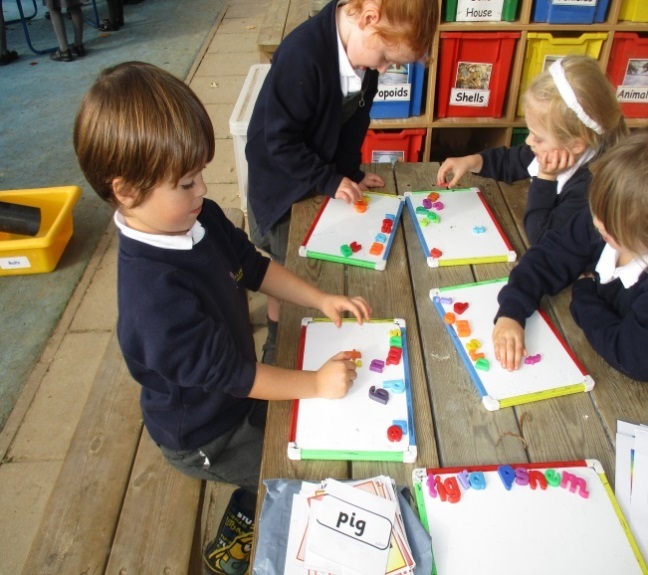 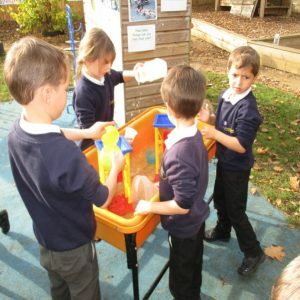 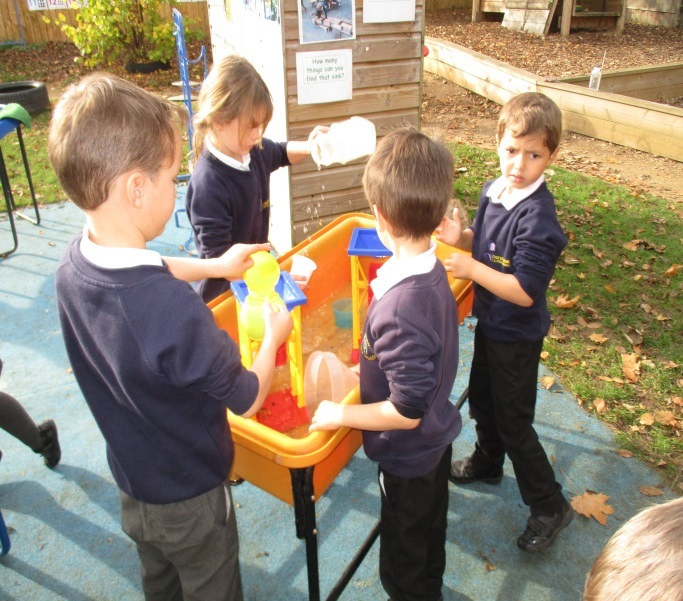 They are continuing to have a go at new things as well as play with familiar activities. 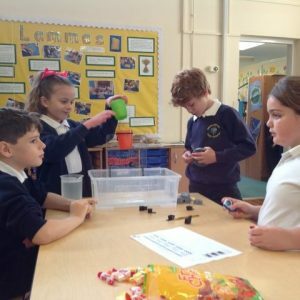 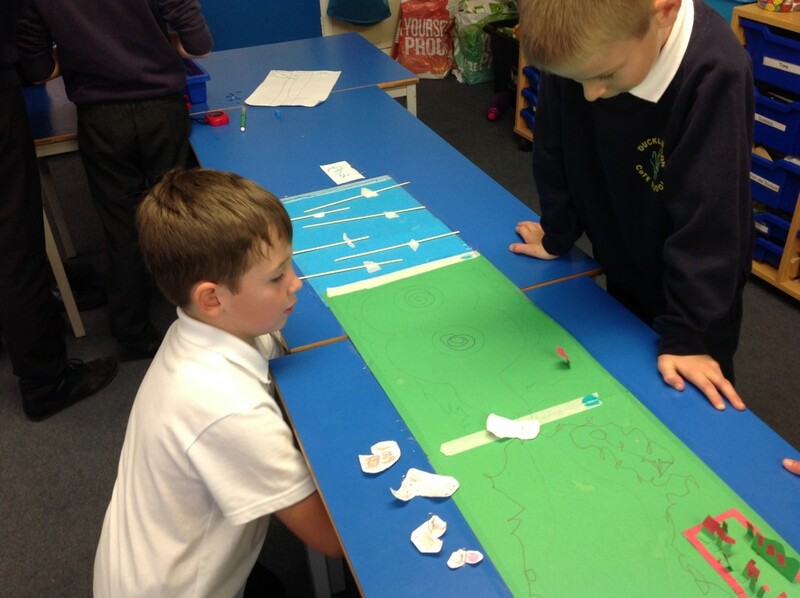 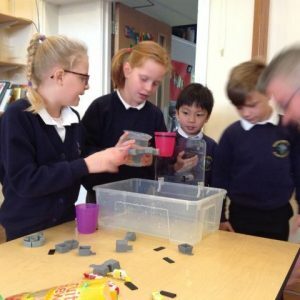 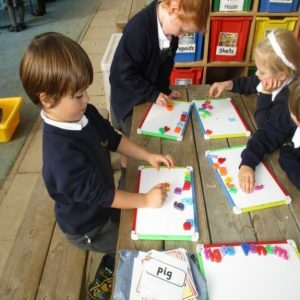 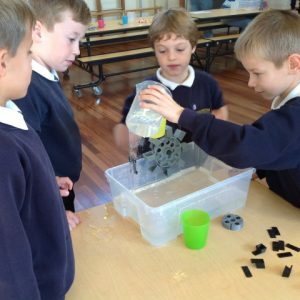 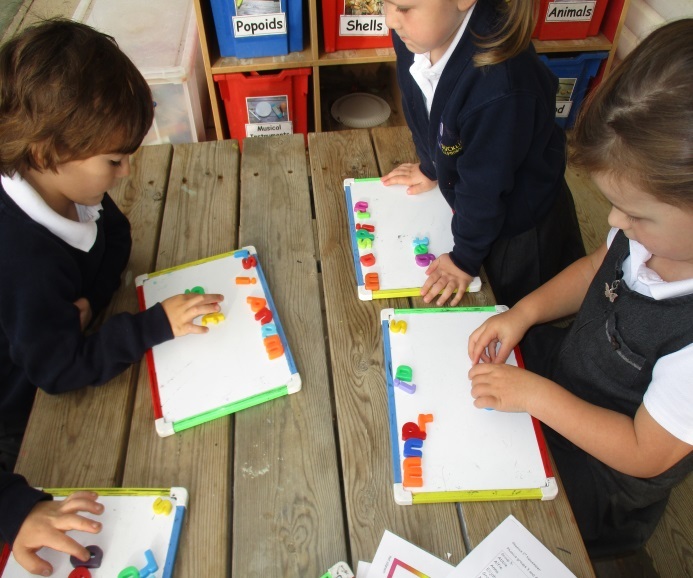 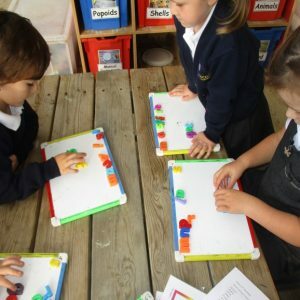 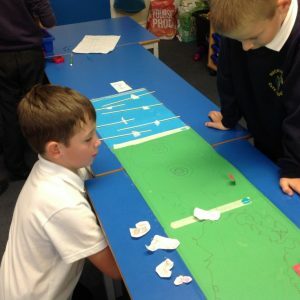 They thoroughly enjoy sharing their ideas and creating their own games using various resources, as well using their imagination. 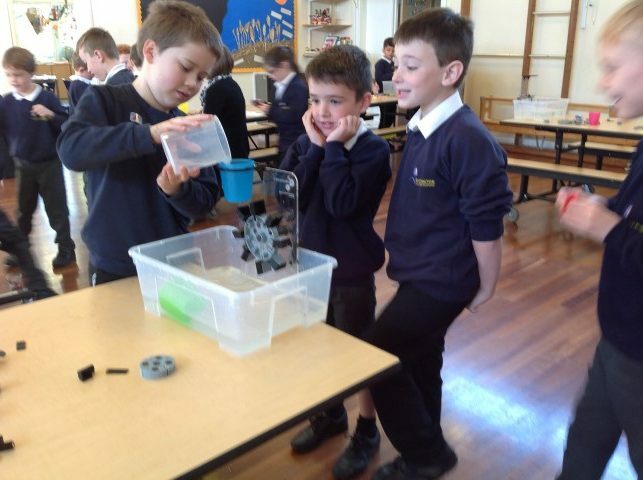 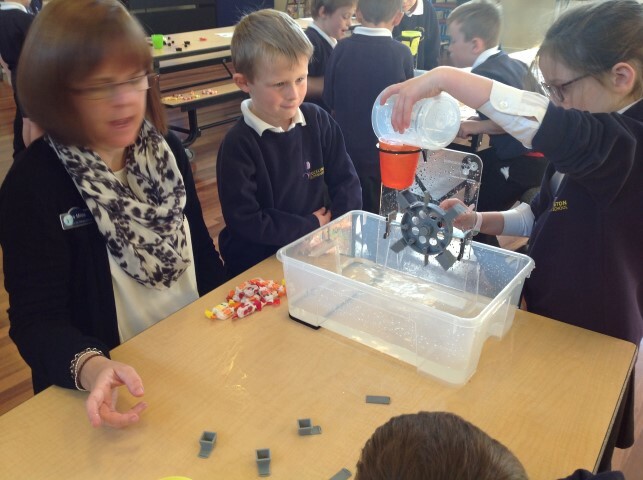 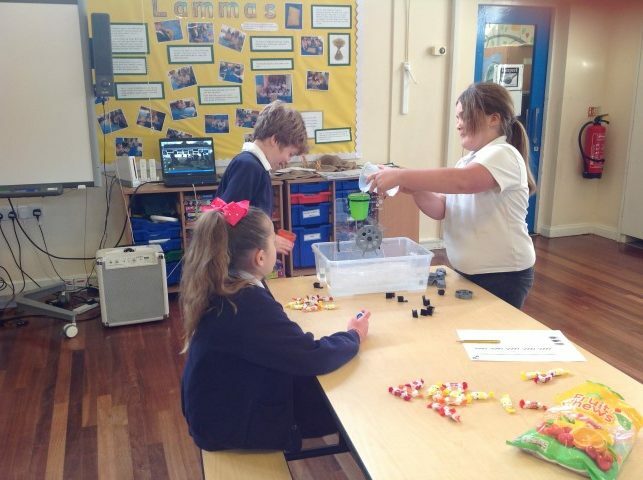 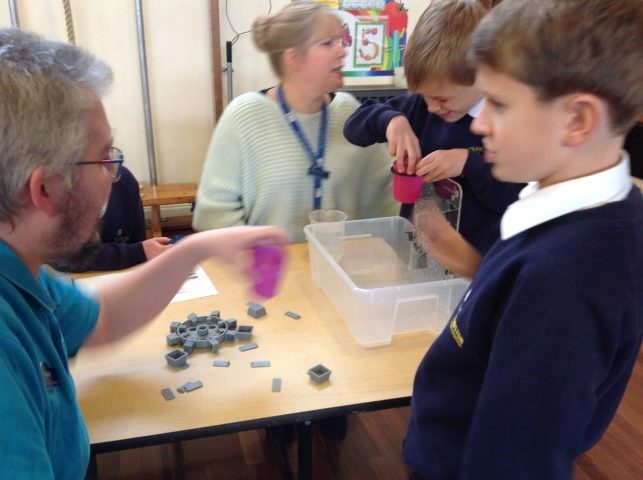 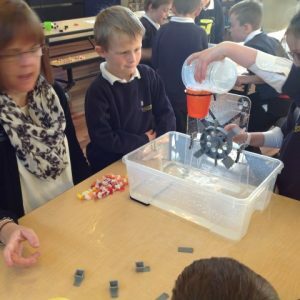 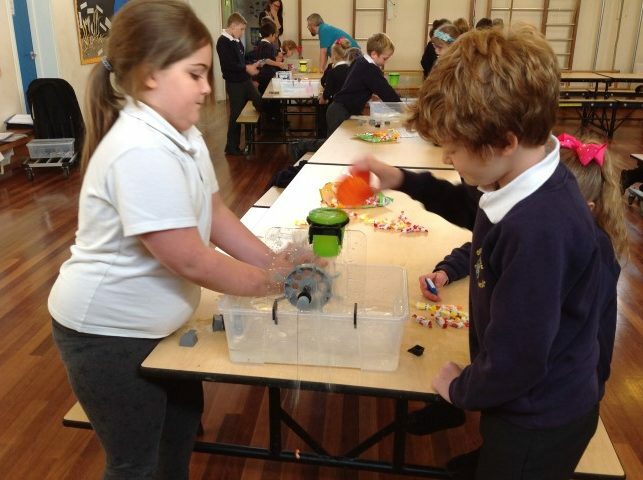 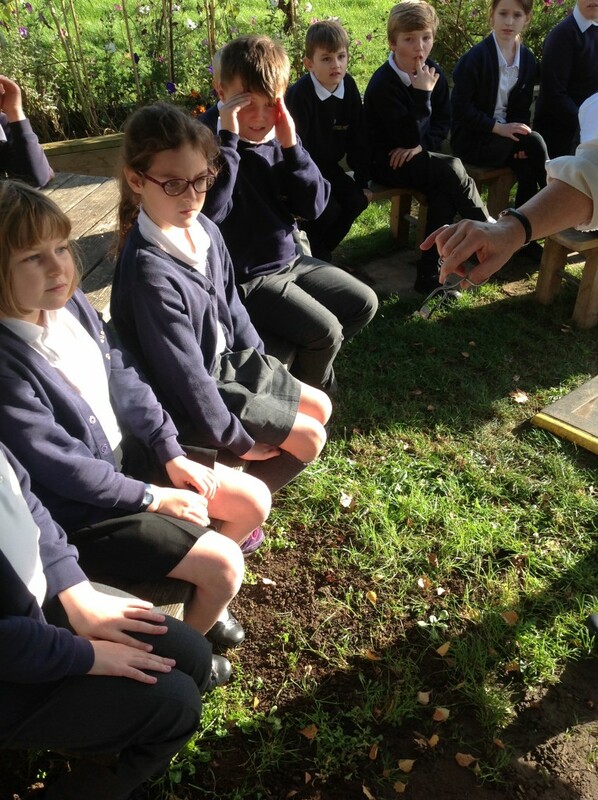 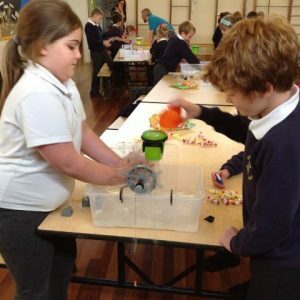 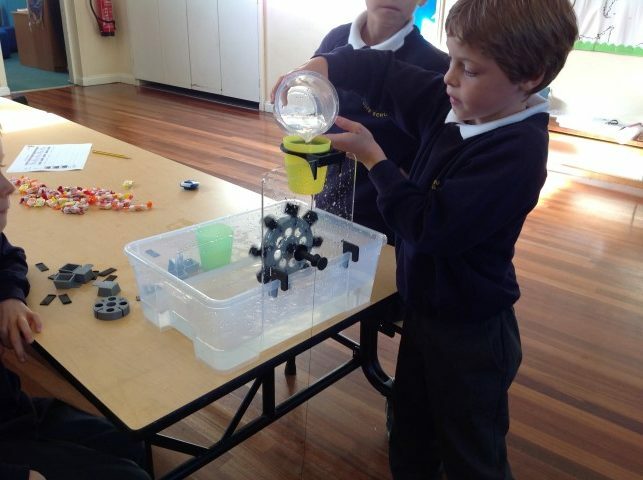 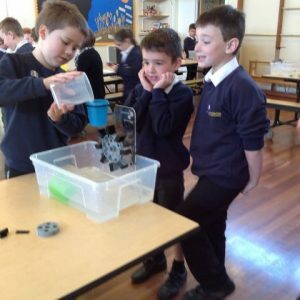 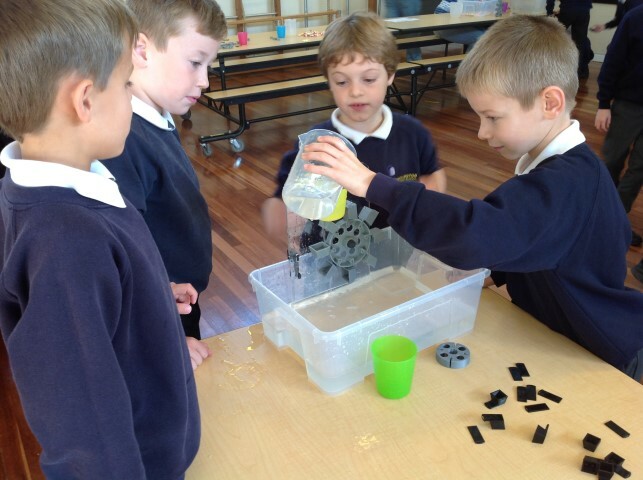 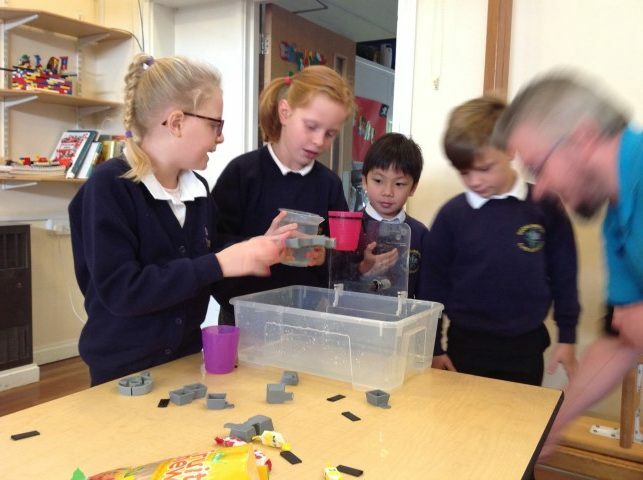 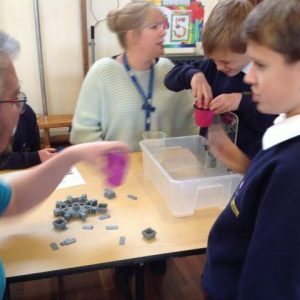 Enjoying our ‘Waterwheels Workshop’ with Science Oxford! 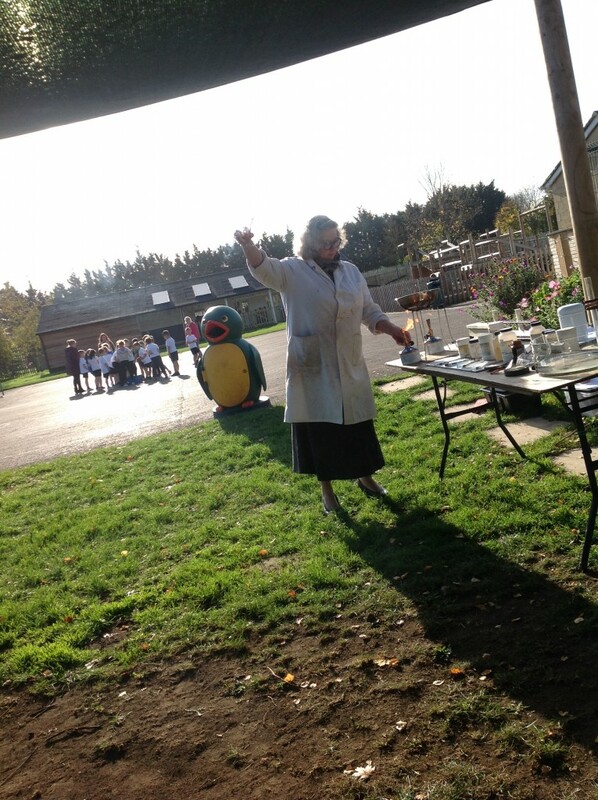 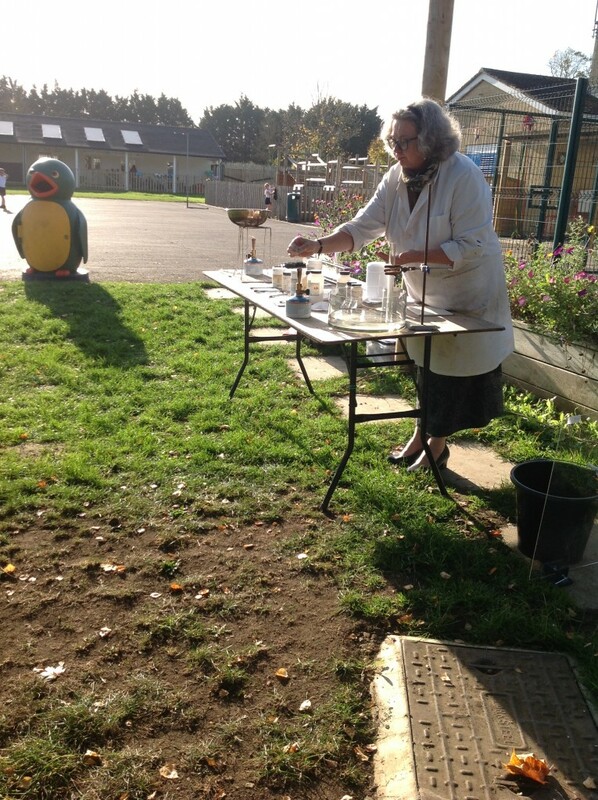 Learning about ‘Explosions, Gases and Mud’ in a chemistry workshop with a lady from Wychwood school. 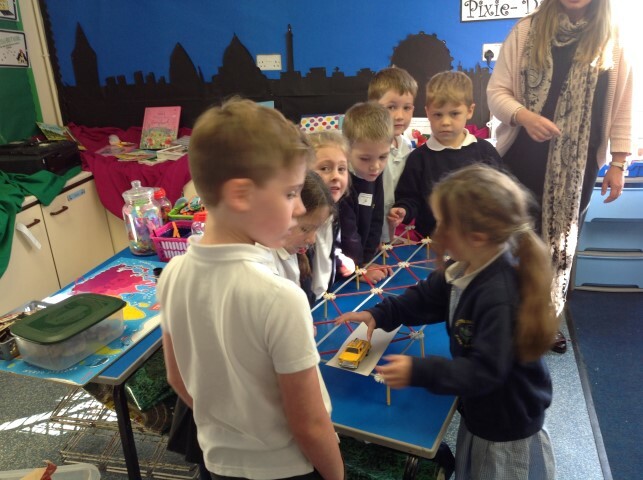 Using the KNEX construction kit to explore, build, test and evaluate bridge design.